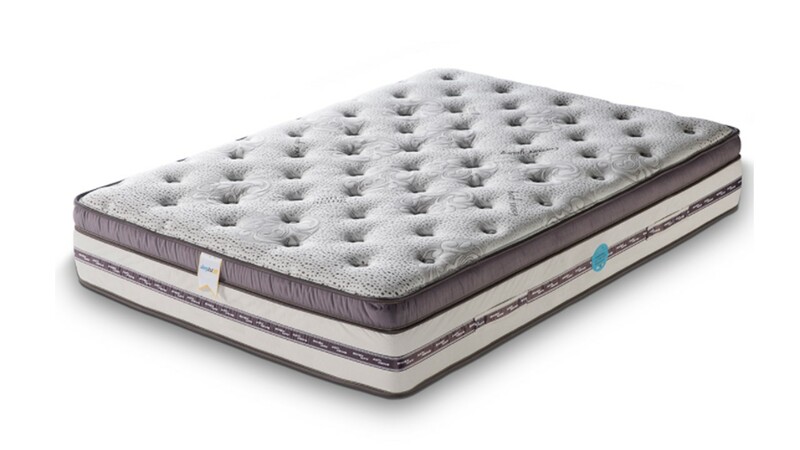 Maximize you sleep experience with durable bonel spring system covered with rich full filling and topped with plush quilting. High quality built mattress that Guarantee a great morning by waking up refreshed on Vera mattress. Vera flex mattress has high quality jacquard knit ticking to show off the beautiful design of the plush quilting. Vera flex main structure is comprised of 6 spiral bonel spring system, one of the most developed spring system in the world. Firm foam encasement system supports the bonel system surrounds the bonel spring frame for additional support and years of perfect form. 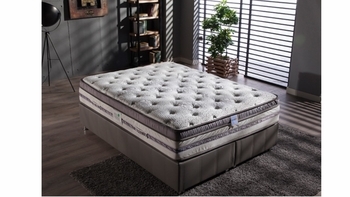 The Vera flex mattress is the perfect choice for those looking for semi-soft mattress. The spring and filling system along with the luxury quilting conform to your body, helping you fall into deep sleep. Available in Twin, full, queen and eastern king sizes.